Todd White is one the most dangerous preachers today; suckering in untold numbers of youth into his experiential brand of false Christianity. This is a man who teaches that the cross does not reveal our sin but instead our value. That brand of narcissism is at the heart of his theology. The cross is about him. The Bible is about him. We see that here in this small quote, when taken by itself could deceive you into thinking it is a nugget if Biblical wisdom. It sounds pious enough doesn't it? But when you peel away the subtleties you realize that it is not pious at all and not biblical either. Romans teaches us that only the Gospel has the power of God unto the salvation of man. According to Todd White theology however it is entirely upon us. We must achieve a certain level of immolation in order to see people "follow Jesus." "God can step into the midst of our broken lives and bless us so much that when people look at our lives they'll want to know Him." "Whatever your story is, we know that all things work together for our good in the end (Romans 8:28). So if it's not good, it's not the end!" Again, these sound Christiany don't they? God's power, sin is bad, and evens a Bible verse! Yet there is nothing Christian about these quotes; all taken from the same article by Vallotton. For the uniformed, Kris Vallotton is the right hand man to Bill Johnson out at Bethel Church, which is one of the most egregious cesspools of false teaching on the planet. That is because Bill and Kris teach nearly every heresy under the sun. The first quote for example is a representation of the prosperity gospel. Only in the warped and twisted mind of the greedy can the extent of blessings be the drawing attraction for why people would want to come to Jesus Christ. Like Todd White before him, Vallotton fails to remember that it is the Gospel that saves people -- not our level of blessedness. Like White the Bible is all about me so it only makes sense that Kris would sincerely believe that people would want God by looking at us. Do we play a role? Sure but salvation belongs to the Lord. The second quote is closer to the sugar coated false gospel that preaches everything is puppies and rainbows for believers. As is often the case when you do not care about biblical truth however, you cannot properly handle the Word. Romans 8:28, our key verse for today, does not contain the word "end." Thus the entire point Vallotton is making is based on a lie about what the Bible says. If Kris had bothered to read the context, he would see that Paul is speaking about future glory. That is our assurance. That God is working all things out for our good eternally. It is not a temporal promise of carnal blessing. This year plenty of bible believing and adhering Christians will die in the midst of situations that are not good. Prolonged sickness, exacerbated poverty, even victims of crimes. Does this teaching from Kris Vallotton apply to them? If it is not good it's not the end? What an absurdly arrogant teaching. For many, death and escaping this life will be the part that is good. That is closer to the point of Romans 8:28. The final quote from Kris is a bit of a hybrid but leans towards the greasy grace doctrines of Joseph Prince. We must understand in purpose driven, seeker friendly theologies sin must be treated very delicately. It can never be preached about for fear of driving people away and besides, as Joel Osteen says, people already know what they do wrong! If it is handled, it must be treated as Vallotton does here. In a manner that removes all human responsibility for it. Beloved, God does not hate sin because He loves us so much. He hates sin because He is holy and thus sin is the opposite of who He is. Lastly, sin is not the enemy of humanity. Vallotton makes it seem as if we are merely witness and victims to that which we seek out, engage in and revel through. The true enemy of humanity is Satan but purpose driven slop never deals with the touchy subject of the devil. You could make a biblical argument that death is the enemy of humanity which would provide you a fantastic entree into preaching the Gospel. That is not Vallotton's goal here however. It is to sell a false gospel. One that assures you it is good to idolize blessings. One that promises you that if anything negative is happening that cannot be God. One that provides us with all of the comfort to keep right on sinning while enjoying our best life now. Beloved this is just one week and four little quotes but it is a mere microcosm of what believers face every single day from the Purpose Driven Industrial Complex. Wave after wave of demented thoughts wrapped up in an air of false piety. People will not follow Jesus by looking at if we are on fire enough. Likewise they will not want to follow Him based upon how much blessing is in our lives but perhaps by how contented we are regardless of blessings. The end for believers is eternal life. Yet on this earth we will have suffering. That is what Jesus taught. Not according to the NAR and false teachers everywhere. And sin? Don't worry you little victim. God hates it so much -- not because we choose it over Him -- but because it hurts us. Yay us! Don't fall for it beloved. 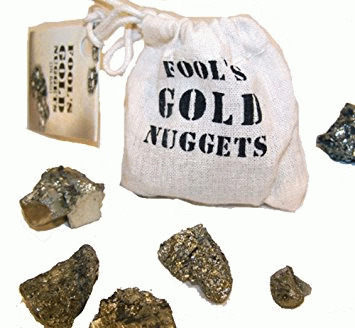 These are not nuggets of wisdom but of poison. They are the little leaven Jesus warned us about. Don't let them ruin the entire batch.